My mother Simone enjoying the afternoon at Sketch London! I had the great pleasure of visiting sketch for a Champagne Afternoon Tea this month. sketch notoriously offers drinkers and diners several thrilling options for breakfast, lunch, afternoon tea, dinner and drinks and we are frequent visitors (certainly partial to a cocktail or several throughout the week). 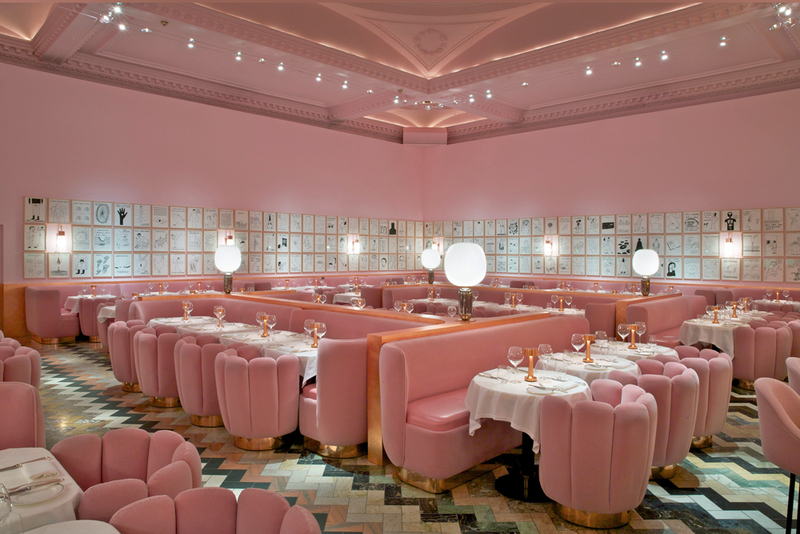 Shamefully, this was my very first time in the extremely Instagrammable sketch hot spot also known as The Gallery, designed by the great India Mahdavi and full to the brim with David Shrigley goodness. Thank heavens I can finally tick this off my Mayfair wish list. Two starter plates promptly arrived at our table, each adorned with spoonful of caviar, skinny Comté cheese soldiers and a vibrant quail's egg. It is a joy to behold this magically surreal and artisanal spin on the classic British breakfast - pleasing on the eye and the taste buds.